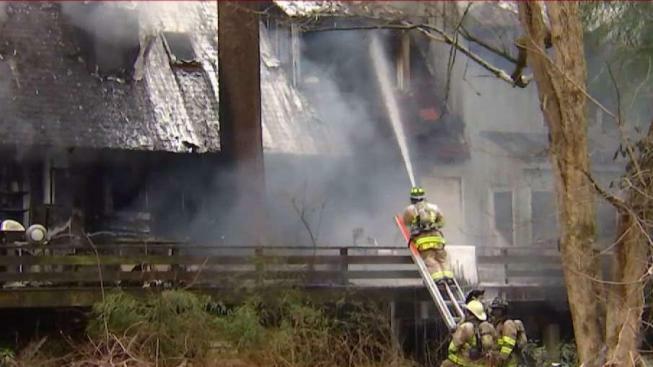 Lucy Berkebile, 73, had been missing for hours at her home in the 1400 block of Brookhaven Drive in McLean as firefighters rushed to put out the flames, Fairfax County Fire and Rescue said. During the firefight, officials said they looked for Berkebile after neighbors said she was likely home. Firefighters from a collection of other Northern Virginia agencies responded as well, including from Dunn Loring, Alexandria and Vienna. No firefighters were injured, but Berkebile was found dead. Neighbors also reported hearing an explosion while the fire consumed the home. "It was like when you are at a concert and your heart just pounds, that's what it sounded like," Charlie Stallmer, a neighbor, said at the time. "It was just a ton of smoke rising up, black smoke, all the way to the sky. It was crazy." The cause of the fire remains under investigation and damages were reported to be about $298,750.